In this tutorial we’ll look at what happened with good old Siri and Spotlight in iOS8. Step 1. To activate Spotlight, place your finger in the middle of the screen and swipe it down. When you search for any of the item on Spotlight as you used to do, it will come up with the whole list of automatic suggestions, from phone numbers to apps and websites that you use frequently. Spotlight can even suggest you music or games. Step 2. 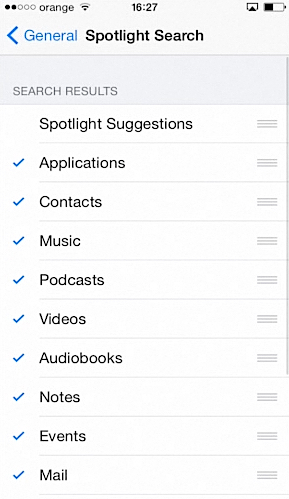 If you want to turn off Spotlight Suggestions for any reason, you can go to “Settings”, “General” and “Spotlight Search”. From the list of all options, un-tick “Spotlight Suggestions”. Step 3. Now let’s see what happened to Siri. If you connect your iPhone to the power source in and say “Hey Siri”, it will activate your virtual Siri assistant. Finally, we’ve got to see hands-free Siri! Step 4. You can now delegate Siri to do much more things than before. 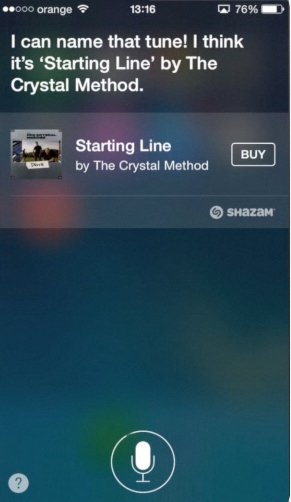 If you’re listening to any music track (even not on your iPhone, even on the radio), you can ask Siri to recognize the song! Pretty cool, isn’t it? 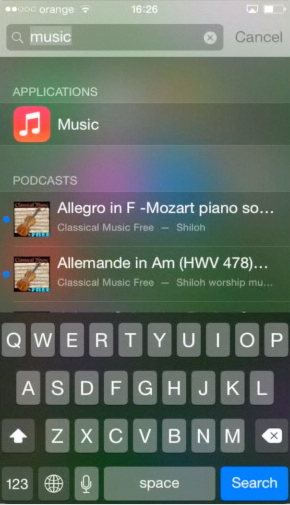 Result: We’ve just updated you on new Spotlight and Siri features in iOS8. Stay tuned for more new tutorials!